A LOCAL Aussie Rules football player has come out as gay in mainstream media, arguing gay players in sport don’t need to be a big deal. In a comment piece published in The Age, Rhyian Anderson-Morley wrote that while he never lied about his sexuality to his team mates, he decided not to be completely open to avoid upsetting the team atmosphere if some players were not comfortable with a gay player. He said his decision to come out so publicly arose from hearing homophobic language spoken in the club rooms after training one week, and no one near the person making the comment seemed to bat an eyelid. Anderson-Morley worried being more open about his sexuality could have had an impact on the behaviour of his team mates. “And it makes me ask, should I have walked into this club waving a rainbow flag? Would it have caused as much drama as some people seem to think? Perhaps knowing a gay bloke was at the club would get them to have a look at themselves and what they say,” he wrote. Anderson-Morley plays for the Yarraville Seddon Eagles Football Club, a member of the semi-professional Western Region Football League based in the western suburbs of Melbourne. The piece comes almost two years after fellow Aussie Rules player Jason Ball went public about his sexuality, helping to drive a push within the highest levels of the AFL to combat homophobia in the sport and promote diversity and inclusion. Ball said that Anderson-Morley’s story would have a huge impact on any gay players currently afraid about what it would mean to come out. 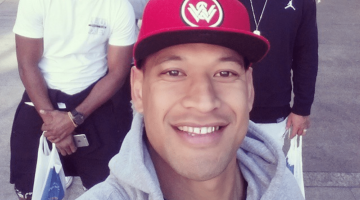 “(It is)uplifting to see another gay local footy player prepared to speak out and add their voice to the cause,” he said. This year has seen a number of wins for sexual and gender diversity in the AFL, with last month’s Pride Cup between Ball’s home team Yarra Glen and rivals Yarra Junction a huge success. Not long after the event, the AFL announced St Kilda and Essendon Football Clubs are in talks to hold the first Pride Cup at the elite level of the sport. The AFL administration has already said it would support such an event. 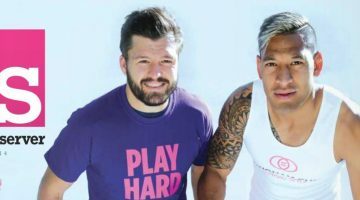 Essendon has also revealed it was in discussion with supporter Jason Tuazon-McCheyne, who is also the convenor of the recently-established LGBTI-focused Australian Equality Party, to set up an LGBTI supporters group called the Purple Bombers. Despite these successes, homophobia in the AFL made headlines last month when controversial co-host of The Footy Show Sam Newman responded to footage of gay NFL player Michael Sam kissing his boyfriend by calling the kiss “annoyingly gratuitous”.